Handicaps and calendar data are maintained on the office system on a continuous basis. Uploads to the website are made "as required", which for handicaps means weekly, or more frequently, during the spring and summer, and less frequently during the winter months. Most calendar updates are processed during the off-season, dependent on input from the clubs. Read the minutes via the link. John, based in Largs, will be responsible for the area extending from the English border to Ardlamont Point, Loch Fyne, including the islands of Bute, Arran, Great Cumbrae, Little Cumbrae, Holy Isle, and Inchmarnock. The CYCA values its interaction with Bidwells, on behalf of CES, primarily via the Clyde Moorings Committe but directly, by exception, when the occasion demands. Recent previous incumbents have been PJ Korbel and Colin Brown, and we record our appreciation of their efforts. John will bring to this role his personal experience as a yachtsman on the Clyde and beyond. The full Bidwells Press Release can be viewed via the link. 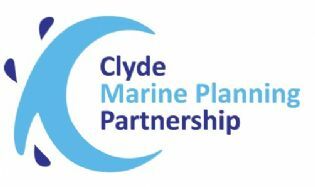 The Clyde Marine Planning Partnership evolved from the Clyde Forum in which the CYCA participated for many years. Their website can be accessed here for information on their latest activities. The Scottish Sustainable Marine Environment Initiative (SSMEI) established four pilot projects, including one in the Clyde, each looking at different aspects of marine planning. The voluntary Firth of Clyde Marine Spatial Plan (2010) was developed as part of the SSMEI programme between 2006 and 2010 with the emphasis on consultation with stakeholders at all stages. When published, the document represented an innovative approach to marine planning, based on Scottish Ministers’ commitment to making marine management more efficient, inclusive and accessible. CMAL have reissued their Standing Order regarding ferry access to specific island piers ... access here. "There are no charges within our Schedule of Harbour Charges for recreational craft anchoring within any CMAL jurisdiction and there are currently no prohibitions in place at any location for such vessels to do so. Anchorage charges can only be applied to ferries, commercial and cruise vessels." CMAL do have a Harbour Empowerment Order for the bay, to 750m around the pier, as shown in the attached chart. Within this are 10 visitors moorings laid in 2017 by the Tiree community business, for which a charge of £12 per night is made, payable at MacLennan Motors office on the Pier Head (http://www.isleoftiree.com/gott-bay-moorings/). However, as made clear above, recreational craft can anchor at no cost anywhere within this limit, subject to the responsibility of not impairing access to the pier or the moorings. RYA Scotland would like to hear from you if you have also experienced being charged (or being asked) in any CMAL port area in 2018. Please contact Pauline McGrow at pauline.mcgrow@ryascotland.org.uk with details. PeelPorts NTM 66/18 gives details of the relocation of the traffic lights controlling access to Ardrossan Harbour - see PDF for details. Please find a link below to an important survey regarding management of Oban Bay. CMAL are proposing a Harbour Revision Order which would give them control over the whole of the Bay and its approaches. This has potential impacts for all users of the Bay and views are being sought about possible alternative methods for managing the Bay as well as ‘protective provisions’ should the HRO go ahead. See also the PDF for additional observations on this from RYA Scotland. A management plan for Loch Creran SAC was prepared many years ago and through this plan action was taken to restrict anchoring in the loch to four designated locations (Glaceriska Bay, South Shian Bay, Creagan & Head of Loch) in order to protect serpulid reef habitat. 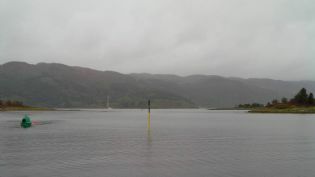 This action included the installation of a large metal sign in 2006 at the entrance of the loch which asked mariners to anchor only at one of these four anchorages. This sign was considered necessary at the time as there were a number of anchorages marked on charts and sailing directions which were in areas of serpulid reef. In 2016 this sign was reported damaged and the need for it to remain in place was reviewed by the Council and SNH with advice from WHAM and RYA. It was decided at this point that the sign was no longer required now that all anchorages in serpulid reef areas had been removed from charts and sailing directions. The sign was subsequently removed and a notice (see link) was widely circulated by the Council and RYA and included in the July/August issue of Yachting Life in 2016. The UKHO also issued a Notice to Mariners adding the Glaceriska Bay and Creagan anchorages on Admiralty chart 2379. The Council has recently received reports of recreational vessels visiting Loch Creran and anchoring in areas of serpulid reef. To assist the Council and SNH determine the possible level of anchoring outside the designated anchorages anyone who comes across a vessel anchoring outside one of the four designated anchorage should report this to the Council with information on location, time, date and vessel. This information will help to inform whether any additional management may be required and also guide the focus of future site condition monitoring by SNH. If anyone is aware of incidences of anchoring outwith the designated anchorages in recent years this information would also be welcome. Any reports can be emailed to Mark Steward or can be made over the phone (01631 567 972). The petition organised nationally by the Cruising Association has now closed. The objective was to encourage DEFRA to have a serious look at the hazard caused by static fishing gear which is laid in inappropriate places and/or is poorly marked with identification details. sportscotland National Centre Cumbrae and RYA Scotland have been working with the Board of Directors of the Scottish Sailing Institute (SSI) to develop a sustainable Scotland wide training & event resource for 2017 and beyond. These new arrangements will enable clubs & classes, throughout Scotland, access to world class race management & training and event support. Cumbrae understands that clubs & classes have very “bespoke” requirements for race management & training and also the hire of equipment for their events. For this reason Cumbrae are encouraging clubs & classes to contact the Centre directly to discuss their requirements. With further discussions a “package” will then be worked on to meet the bespoke requirements. Further to this, by utilising the marketing support available through sportscotland, Cumbrae & Inverclyde and RYA Scotland and engaging with interested organisations & clubs, continued efforts will be made to bring water sports events to Scotland, so making the most of Scotland’s naturally varied locations, complementing the world class championship facilities in Largs. Further details on how to access the support and resources available will be found from 1st April 2017 on the Scottish Sailing Institute Website . Oban Bay - new "Code of Practice"
The Oban Bay Management Group has revised the Code of Practice for users of Oban Bay. From 31 March 2017, amongst other guidance, small yachts in the North Channel are asked to use their auxiliary engines and to remain outside of the large vessel channel where practical. A new guide called 'Be Safe - Be Seen' has also been developed. They are asking everyone to use the guide and Code to help the area remain safe and enjoyable for all. Following assessment of the damage caused to Clyde Challenger during the evening of 9th February 2017 and transfer of all crew from the vessel it is with a heavy heart that we have to announce the Clipper 60 Ocean racing yacht Clyde Challenger (ex. Chrysolite Clipper) has been Scuttled with the assistance of the UK Navy. She went down at 45^ 13.42N 017^07.5W at approximately 17:30 UTC. Many recovery options were investigated with the co-operation of the coastguard, salvage agents and insurers. Due to her current position, 7-10 day forecast, risk to other vessels and considering the damage sustained it was concluded that the only safe option was to ensure the vessel posed no further risk to person or marine traffic. Our immediate task now is to get the crew back home and provide all co-operation necessary to the authorities investigating the incident. The team at Clyde Challenger will also be working on options to move forward with our aim to “make the ocean racing experience available to all” and will keep our many followers and supporters updated through our social media channels. With ever-larger spinnakers being purchased, some classes have adopted higher-than-standard spinnaker halyard exit points - e.g. masthead. An initial response was a one-off handicap adjustment for a specific boat. Given emergence of this practice in other classes, endorsed certificates have been issued to boats potentially affected. These make clear that the "standard" (base) handicap is only valid when spinnakers are flown from the fractional halyard exit point. Owners wishing to use a masthead halyard must declare this to the Association and a revised certificate will be issued incorporating the relevant penalty. The Handicap Committee recognises that this does nothing to control directly the size of spinnaker being used. Policing of the sizes of sails being used is, however, impractical and this is considered the most practicable solution for now. A major re-development project to expand the existing pontoon facilities at Campbeltown Harbour is now complete, resulting in a smart new marina for the town. The project has been funded by Argyll and Bute Council, together with contributions from Highlands & Islands Enterprise and other partners. The brand new Campbeltown Marina now offers 54 berths on finger pontoons, main pontoons and breakwaters. It can accommodate boats of up to 33 metres with a draft of 3 metres. Each pontoon has hook-ups for water and electricity and ashore there is a brand new dedicated shower and toilet building. Access to the marina is available at all states of the tide. Visitor and long term berths are available, with prices starting at £15 a night (up to 7m) for visitors, and annual berths costing from £130 per metre. Concessions are available for local residents wishing to berth their boat in the marina. The marina is within a secure gated area, with 24 hour CCTV and access to the pontoons and shower block is via an alpha-numeric keypad. Free wifi is available in various locations close to the marina. Fuel is available at the Old Quay and gas is available nearby. A well-stocked chandlery is situated in the town centre. There is recycling available on site. Various marine trades are available in Campbeltown, details on request from the Marina Manager. For those wishing to berth their boat at Campbeltown long term, there are excellent travel links to the area. Campbeltown Airport, with its scheduled flights to Glasgow, is a 10-minute taxi ride away. There is a car ferry link to Ardrossan and a passenger only fast ferry to Northern Ireland (Ballycastle) and Islay. Buses also run 4 times a day from Glasgow. GSS barge lowering the perch. Additionally, anecdotal evidence suggested that the buoy might move in the current such that groundings could be more likely at some states of the tide. There was general consensus that a North Cardinal beacon at the NE extremity of the rock would be a more reliable navigational aid, but Clydeport (now PeelPorts Clydeport) did not have any budget with which to cover the expense. Agreement was reached in Spring 2014 on a joint effort involving various parties. The beacon was built in June by McNair Engineering and installation was virtually complete on 2nd October, courtesy of outstanding support from Jamie McGarry and the team at GSS. This proved to be a major task, with 12 hours of drilling for divers fitting bolts to the rock in between 2 and 5 metres of water. The topmark was finally fitted on Friday 3rd October, and the green buoy was removed. Charts and pilot books will be updated in due course. For now, the advice is to pass about 10m from the perch, paying attention to depth on the NE (Burnt Isles) side of the channel. Perch lat/long is approximately 55 55.418 N 005 10.312 W, but this is to be fine-tuned to match the exact drilling of the holes. Support the "Revive the Clyde" campaign. 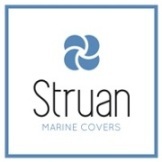 The Sustainable Inshore Fisheries Trust (SIFT) is a Scottish Charity aiming to promote the sustainable management of Scotland's inshore waters so that they provide the maximum long term benefits to all coastal communities. At present SIFT is aiming to restore the Firth of Clyde ecosystem through implementing a new regulating order in the Clyde which will support sustainable management of the ecosystem to allow regeneration of depleted fish stocks. As part of this they are running a "Revive the Clyde" campaign working to raise awareness and support amongst local communities and all stakeholders throughout the Firth of Clyde for a change in the way the fishery is managed. The campaign is using a petition style format to gather support to encourage the Scottish Government to adopt a more sustainable management system for the fishery. You can pledge your support on the RTC website. Hands up for One-Design ...! As widely trailed, and as discussed at the meeting at Kip on 11th February, RYA has formally announced the discontinuation of Portsmouth Yardstick numbers for cruisers. These had become discredited, and the RYA blames the clubs for insufficient feedback to keep the figures useful. Clubs, in turn, have responded that "every boat is different" and so maintaining any list by boat type was perceived to be impracticable. The alternative being offered (NHC) is a list of time correction factors prepared by RORC Rating who run the IRC system for the UK. These can be downloaded from the RYA website. The TCFs are very comparable with the IRC rating numbers for equivalent boats, and, like IRC TCCs and CYCA TCFs are multiplied into Elapsed Time in order to calculate Corrected Time. The major computerised results programs are being (or have been) modified to incorporate NHC as a handicapping alternative. The Big Difference is that NHC numbers are being proposed as the basis for "Personal Handicapping", as in golf, often otherwise known as "Progressive Handicapping". The inevitable conclusion of this approach is that identical boats will compete using different handicaps. Some people consider this advantageous, attracting newcomers who might otherwise be deterred. Others will find this very unattractive - in the RYA's own words "It has been criticised for promoting mediocrity". So what are the options, other than retrenching to one-design? There is a fundamental decision to be taken by clubs as to whether they wish to adopt Progressive Handicapping. The example of ECHO in Ireland is often quoted, in which boats are given an initial rating comparable to IRC which is then "rolled" progressively. These rolled handicaps are then portable, moving between clubs for regattas. But there are hazards to be managed such as "sandbagging" and "jockeys", and so an administrative layer is required in order to manage the process. An ECHO handicap costs over £25 per annum in order to pay for this admin. In the absence of such a set-up, clubs can apply Progressive Handicapping purely at club level, without any attempt at portability. How well would this work in a weekend regatta, when anything other than steady winds in initial races could result in bizarre distortions? Over a club points series there could be better success ... but there is then scope to discuss whether NHC is the preferred starting point. As the RYA again admits, "this list on its own ... would be unsatisfactory" since it does nothing to address the differences between boats due to design variants, furling etc. These differences would eventually be ironed out - along with skipper and crew strengths and weaknesses - in the resultant handicaps. We encourage clubs to think hard about the way forward. The November Newsletter can be accessed here. The latest 2014 Calendar information is now fully accessible, and will be updated as soon as changes are notified by organising clubs. Clubs and their members are reminded that the next CYCA Delegates Meeting will be in March 2014. The effectiveness of the Association's activities is reliant on the skills and commitment of those on the committee. New members are actively sought. There are normally no more than four meetings per year and so participation need not be burdensome. Nominations should be supported by one or more Constituent Clubs, and should be sent to the CYCA Office by mid-February. The problem experienced in 2012 and earlier in 2013 with two foul-mothed "pals" blocking Ch72 for protracted periods appears to have been resolved. The assistance of OfCom Scotland in addressing this is appreciated. CalMac access to island piers. The CMAL Notice to Mariners can be accessed here, and gives full details of the piers affected. With the increased size of the vessels now operating these services, it is possible that some revisions may be required regarding existing authorised anchorage and/or moorings areas. Until such time as this has been fully assessed and remedial action taken, skippers should be aware of the potential problems. All normal common sense precautions should be taken, including weather and weather forecast monitoring, and a proper watch maintained on VHF whilst on board. Clyde Coastguard (MRCC Clyde) closed on 18th December 2012. Search and Rescue coordination responsibility for Clyde, Campbeltown and Islay lifeboats transferred to Belfast Coastguard and for Oban and Tobermory lifeboats to Stornoway Coastguard. The contact phone numbers are - Belfast Coastguard 02891-463933 and Stornoway Coastguard 01851-702013. Calls via the 999 service will be routed accordingly. From 1 April 2010 HM Coastguard will only accept out of date pyrotechnics at 18 designated sites across the UK from members of the public only. In order to use the service the public will need to contact one of the sites to make an appointment to drop items off. Information and contact details will be published formally in due course, however a press notice was issued on 21 December 2009 detailing the changes and the locations of the sites. A copy of the press notice can be found at this link. The service at these sites will continue to remain free of charge. The changes to the service have been necessitated following the changes of regulations for the storage of explosives on our sites which have required the MCA to instal completely new compliant storage facilities at each of these designated sites. Due to the requirements of meeting these regulations it has not been possible for MCA to make available additional facilities. It should be noted that the MCA has no obligation to provide disposal facilities and the service provided should not be viewed as the primary route of disposal within the UK. It should only be used if all other avenues of disposal have been exhausted. The government ultimately believes that the responsibility for the disposal of out of date flares should rest with the manufacturers and distributers of these items and should not be a burden on the public purse. There will be no facility at MRCC Clyde (which is located at Greenock) because the current land owner, the MoD, will not give us permission to store either in date or out of date pyrotechnics on this site. The site has not accepted out of date flares since 2007. 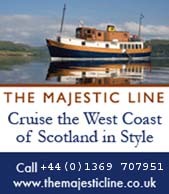 The nearest designated site to Greenock will be Girvan; facilities will also be available at MRCC Forth and Cruden Bay. It is intended that the current facilities will be systematically withdrawn over the next couple months as the new system is introduced which will be fully operational by 1 April 2010. Following a spate of groundings, including serious damage to a number of boats, the Kyles of Bute were re-surveyed on the instruction of Clydeport and a revised Admiralty Chart (1906) was published in 2003. The CYCA produced guidance notes in its 2004 Yearbook, and these have remained on the website since then. Given yet more damage to yachts in recent weeks, an additional link to the CYCA guidance notes is provided here. In particular, skippers' attention is drawn to the Woodfarm Bay Rock - pass "close BUT NOT TOO CLOSE" to the green buoy marking this rock. If you draw 2m or more, and it is anywhere near Low Water, YOU HAVE BEEN WARNED!!! "The jackets that give me the most concern are those that, in my opinion, could not have worked. These include those with a missing or fired gas cylinder, as well as those with very loose cylinders that would allow gas to escape rather than inflate a lifejacket. Also in this category are those automatic jackets where the firing capsule is either missing or fired. "Another category are those jackets that in my opinion probably would not have worked or remained inflated. These include jackets with loose cylinders (that will quickly become very loose) and badly corroded cylinders that will wear a hole in the bladder. "Other issues that cause concern are those jackets that are subject to manufacturers' recalls, are in poor condition or showing signs of wear or have out of date firing capsules. "All the above faults are those that would be picked up by a service agent at the jacket's annual or two year service, in accordance with the manufacturer's recommendations and warranty. This advice is usually printed on the information label or on the inside of the jacket. "I would strongly advise that all lifejackets should be regularly checked by the owners for the above points and inflated with a small pump and left overnight to verify gas retention. "All this advice can be found on the RNLI website here as well as in the RNLI's interactive Complete Guide to Sea Safety, available at most chandleries or by contacting RNLI on 0800 3280600 or from any of the RNLI's local Sea Safety teams. "I would urge yachtsmen to read this advice as it may well ensure the efficiency of your lifejacket and prolong the life of the jacket and the wearer." You can download the new Marine Leisure Guide using the link opposite. The Association is introducing a significant change, becoming effective for the 2012 season: the long-standing criteria associated with the Furling Headsail Allowance are being amended to remove the requirement for an overlap of 130% or more. Overlap is traditionally measured using the ratio of LP (luff perpendicular, clew to luff) to J (stem to mast). For furling headsails, where this ratio is greater than 1.3 an allowance of 0.25 minutes per hour has been available. Additionally, since December 2009, it has been possible to claim for additional allowance related to Furling Drum Height (tack point height “up the forestay”) based on a sliding scale related to the percentage reduction in effective forestay length. The Handicap Committee has become increasingly aware of a trend in yacht design which has led to masts being positioned further forward. Associated with this, headsails have typically reduced in size, and with that the overlap ratios have also been reduced. This has resulted in an increasing number of cruiser classes becoming ineligible for any allowance, despite being equipped with furling headsails. In parallel, the 130% criterion has disallowed the use of smaller headsails that would frequently be more appropriate for owners wishing (or requiring) to sail short-handed. Debate within the Association has been lengthy. It has long been recognised that the 130% requirement (still used in determining IRC handicaps) was intended to compensate for the considerable inefficiencies associated with furling a large-overlap sail. It can be argued that, without this requirement, boats will use sails which do not need to be furled – and will therefore receive an allowance to compensate for no real problem. 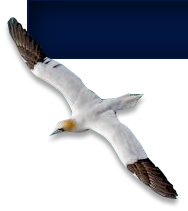 •	Limitations will be applied whereby self-tacking jibs and foresails which are furled only for “storage” whilst going downwind will not be eligible. Owners who have been unable to claim an allowance due to the 130% limitation can now apply for a revised handicap. For all applications made via email before 31st March 2012, a revised handicap certificate will be issued free. For all other applications, including new requests for Dual Certificates, an admin fee of £5 will be payable. This newsletter provides an update on various items of relevance to constituent clubs, and in particular gives details of buoyage changes made - or about to be made - by Clydeport. Turnouts have been disappointing in 2011, following a pattern of gradual decline in recent years. This is in spite of a reduced number of regattas in the calendar in comparison with 15-20 years ago. It is recognised that this is a situation which is not unique to the Clyde, but it remains a serious concern. The meeting was convened to pull together interested parties for an open "no holds barred" discussion on what actions might be taken to reverse the trend. Copies of the reports based on the 2008 Survey can also be accessed here via the links. The Association has consolidated the significant amount of feedback from the meeting. A follow up meeting was held on 7th November, but limited support means that progress on action items will be slow. 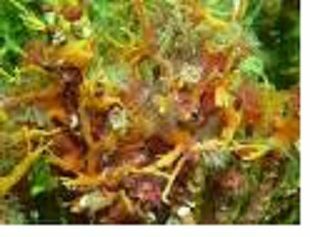 The key elements to the smooth running of any marine engine on bio-diesel are the volume of diesel used and good housekeeping on the part of the owner. Boats such as motor boats with recently-built engines and which use a large volume of diesel and turn it over regularly should be less affected if they have bio-diesel in their tanks and engines – however, they will need to change diesel filters etc at very frequent (possibly inconvenient) intervals – see later. The problems lie with older engines and those boats, particularly sailing yachts, who use very little diesel over the course of a year. There is a new form for renewal of section 34 consents for moorings, which should now be used (list all moorings but submit as a single application). However, dredging by any means including water injection, agitation, or ploughing will now need to be licensed. Existing CPA or FEPA licences will continue to be valid till their expiry date, after which the new Marine Licence will be needed. Note also that all Marine Licence applications must be advertised in a publication local to the proposed works area (Yachting Life does not count!). The Licensing Operations Team of Marine Scotland (MS-LOT) are very much feeling their way into uncharted waters with these changes, which are transitional as discussions on activities that can be exempted or registered rather than licensed are still on-going. 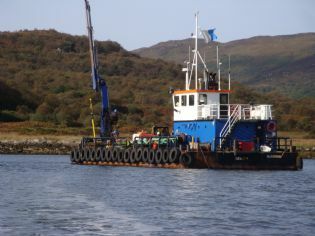 RYA Scotland tried hard to get all maintenance dredging exempted but was unsuccessful in this. It still hopes to gain some exemptions. The MS-LOT web pages have not yet been fully updated. The team have been very helpful and have kept RYAS fully informed of what is going on but they are constrained by the legislation. Please contact them directly if you are in any doubt as to what you need to do. It would be helpful if you could report your experience with the new system to consultations@ryascotland.org.uk so that they can identify any problems that need to be addressed. A comprehensive PDF is available from ISAF providing clarification of many of the finer points on the Racing Rules of Sailing. Advertising Code - regulations changed. ISAF via RRS and RYA via a Guidance Document have now set the default assumption to "advertising is allowed". The CYCA, as owner of the CYCA Handicapping System, is therefore no longer required to declare a position. The ISAF/RRS position therefore prevails, and the CYCA guidance on this topic is withdrawn. The CYCA meets with other estuary users in a number of forums, many focused on ensuring compliance with the Port Safety Code introduced after the "Sea Empress" and "Marchioness" accidents. The Race Management Guidelines reflect agreed operational practice which is designed to avoid incidents between organised sailing events and commercial or naval shipping. Particular note should be taken of the need for prior contact with Clydeport Estuary Control and the QHM Office at Faslane; and for laid regatta marks to be outside Shipping Channels and avoiding the need for racing yachts or dinghies to "bunch" at marks which may be close to a channel. The Association has decided to revert to 4 Decimal places for the Time Correction Factor (TCF) which is derived from the Clyde Handicap assigned in minutes per hour by the Handicap Committee. A handicap of n min/hr converts to a TCF of (60 - n)/60, and the TCF is used to multiply a boat's elapsed time for a race into the corrected time from which finishing position are determined. When TCFs were reduced from 4 to 3 decimal places in 2003, most handicaps were assigned to the nearest 0.25 min/hr, and - although it was recognised that there would be winners and losers to the tune of a few seconds in an average race - it was felt that 3 decimal places adequately reflected the precision of the process. Since that time, boat designs have progressively introduced variants which have required subtle distinctions to be made. Recent efforts to recognise Furling Drum Height impacts on headsail efficiency have also seen small to medium handicap allowance increments awarded. Rounding to 3 decimal places risks losing the intended differentiations, hence the decision to revert to 4 decimal places. 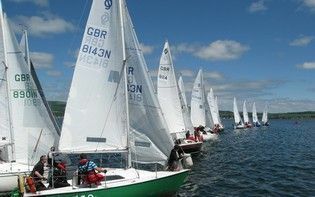 Major results services such as the Eastmore/Raynet support for Scottish Series and Kip Regatta, and HAL's Racing Results (HRR) which is used by a growing number of clubs, will cope with this change for the 2011 season. In both cases, minutes per hour will be entered as per the boat's Handicap Certificate. Where clubs are using another handicap calculation tool, perhaps spreadsheet-based, appropriate changes should be made. The TCF/mph conversion table on this website has been updated and can be used to find the correct TCF. Any club requiring advice should contact the office. All new certificates issued by the Association will show 4 decimal places, and any owner wishing a replacement certificate can obtain one at no cost by contacting the office. The website formerly maintained by the West Highlands and Islands Sailing Clubs' Association indicates that it (WHISCA) is being amalgamated with the CYCA. This is not strictly true. The Association has not been approached by WHISCA regarding any such union, but continues to welcome ex-WHISCA clubs which might be interested in joining, based on the services the CYCA is currently able to offer.